Weight loss gimmicks come and go. But, one idea that won't go away is that eating enough calcium in your diet is important for weight loss. The concept was discovered by accident when Purdue University researchers studying bone density in women discovered a link between calcium intake and body fat. Women who ate the most calcium weighed the least. Other studies showed that low calcium levels trigger the body to produce parathyroid hormone (increases calcium levels). This causes the body to concentrate calcium in fat. Unfortunately, it also promotes fat storage simultaneously. Animal studies showed that high calcium diets decrease fat storage and increase fat breakdown and metabolic rate. 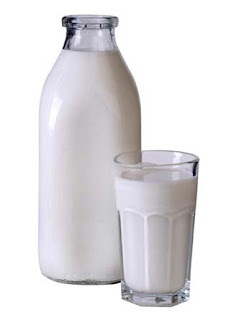 Dairy calcium (nonfat milk) works better than calcium supplements for cutting fat. While these studies are promising, you will not look like a supermodel by downing a few calcium pills. Currently we put calcium in the category where it can't hurt and might help.